Maldives is a island which is stretched over a huge area and pulls in explorers from all over the world. Getting to the Maldives from India absolutely includes a long trip along these lines when you have to make a parcel delivery to the Maldives; you ought to verify you converse with Courier Force. We have numerous years’ experience in the business, and the way that we work nearby just the best global dispatchs, including any semblance of DHL. TNT and Fedex, implies that you can rest guaranteed that your package is in sheltered hands. Why not benefit as much as possible from the markdown worldwide services we offer from India when you’re scanning for sending a parcel to Maldives? Fedex Express and TNT economy both offer incredible quality arrangements on delivery to the Maldives. You would be hard pressed to discover a spot on the planet that we have not dispatched a parcel to throughout the previous 20 years, and that encounter implies that you can depend on us to get your package to Maldives from India to its goal on time and in fantastic condition. Additionally, our convenient parcel tracking framework permits you to stay up with the latest with the whereabouts of your courier to Maldives all through its excursion. Our organization prides itself on giving the best conceivable level of client service thus in the event that you have any inquiries concerning how to send a shipment to the Maldives then don’t falter to reach a part of our group. Call or email us, or on the off chance that you have to stay by your machine, then why not utilize the live chat system on our site? 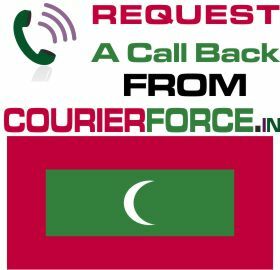 Whatever information you require on shipping to Maldives, know you can trust Courier Force to discover the responses you’re searching for. We will constantly go the additional mile to guarantee your knowledge of sending a parcel to Maldives is as anxiety free and clear as could be allowed. 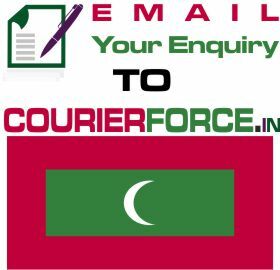 Prices below are door to door courier rates to Maldives from Mumbai. These charges are cheapest in India for sending courier to Maldives from India. This is by a courier company which is the best in industry for parcel services to Maldives. 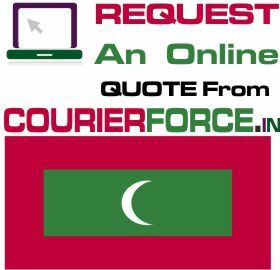 Again, Courier Force is one of the very few companies who have their own network for distributing parcel in Maldives. It will take anywhere between 3 and 6 working days to deliver your parcel to Maldives from India. We will be simply collecting the parcel from your business or residence in India and delivering it to your destination address in Maldives. Duties, taxes and customs charges if any (in Maldives) will be additional.